Want to display your pride in the Queen's Own Highlanders? The Queen's Own Highlanders have always been proud of their history and are never shy about showing that pride (quite right too). We have recently added this design on a limited production run and they are selling well, so get yours now before we run out of stock! 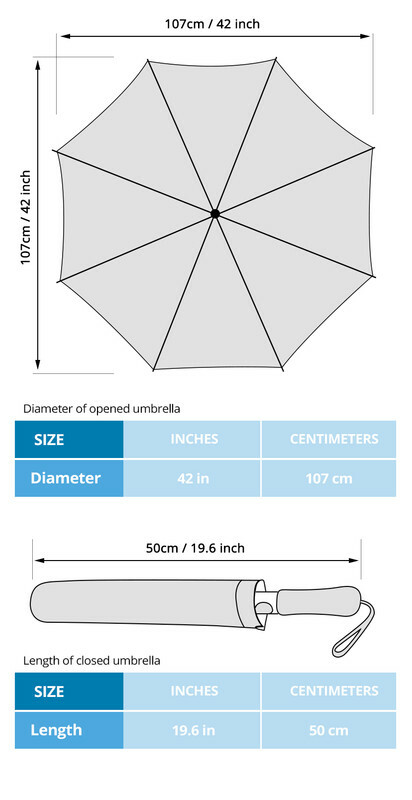 This custom printed umbrella is a perfect way to show your love, passion and dedication to the Queen's Own Highlanders whilst keeping your bonce dry. As a gift, this would be appreciated by any military personnel, armed security personnel, or by anyone who just loves the Queen's Own Highlanders.